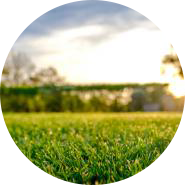 At Lawn Connection, we want to provide superior lawn care services, an outstanding customer experience, all while being environmentally friendly. For over 30 years, we’ve been crafting our skills to ensure we deliver stunning results. Learn more about the lawn care services we offer to our New Jersey customers. Keep your commercial property looking healthy and inviting. 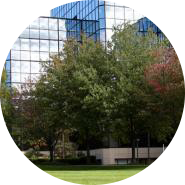 We customize our commercial lawn care program to meet the needs of your property, all while minimizing interruptions in your day-to-day operations. Reconnect with your lawn. By crafting a customized lawn care program to meet your homes needs, our team will provide a beautiful lawn with stunning results. Don’t let disease and pests get the best of our trees and shrubs. 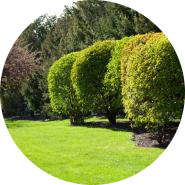 Trust Lawn Connection to protect your trees and shrubs, all while remaining safe for your family and environment. 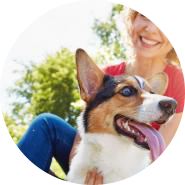 Enjoy your yard again with our mosquito, flea, and tick control. Our methods are 100% organic, meaning your family and pets will be safe from harmful pesticides as well! 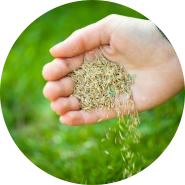 If your grass is struggling to grow, our aeration and seeding service may be the solution you’ve been looking for, giving your lawn the oxygen it needs to flourish!